U.S. Border Patrol agents assigned to Weslaco Border Patrol Station apprehended a group of 60 aliens near Hidalgo, Texas. Agents patrolling along the Rio Grande on Saturday encountered a large group of illegal aliens consisting of 25 family units (51 total subjects), seven unaccompanied children and two adults. The group of 60 illegal aliens was comprised of men, women, and children from the countries of Guatemala, El Salvador, and Honduras. All 60 arrested will be processed accordingly. 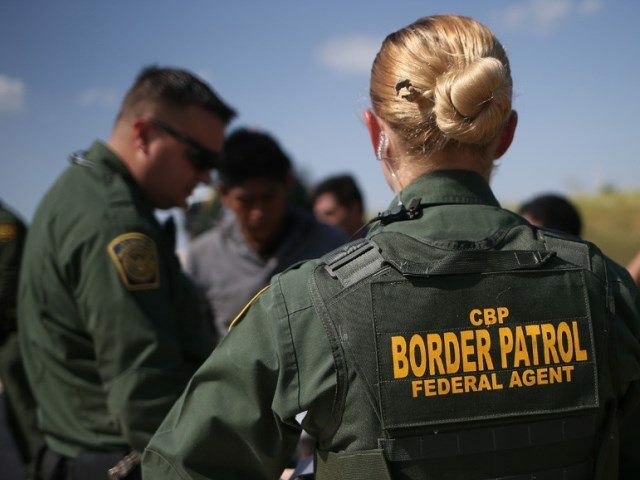 U.S. Customs and Border Protection is the unified border agency within the Department of Homeland Security charged with the management, control, and protection of U.S. borders at and between the official ports of entry. CBP is charged with keeping terrorists and terrorist weapons out of the country while enforcing hundreds of U.S. laws. Previous Previous post: Hmm: 670 Ballots Cast in Georgia Precinct With Only 270 Registered Voters!